Angela Merkel’s bloc (CDU-CSU) has won the German election with 41.5 percent of the votes. The conservatives beat their main rival, the Social Democrats (SPD), which received 25.7 percent of the votes, according to preliminary final results. 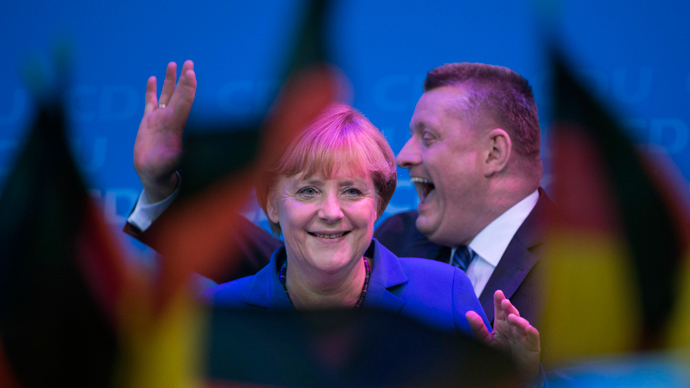 Merkel secured herself a third term and led the conservatives to their best result in more than 20 years. However, the CDU's junior coalition allies - the pro-business Free Democrats (FDP) - received only 4.8 percent, which is below the five percent threshold required to gain a seat in parliament. Germany's Left party, which aims for democratic socialism, came in third with 8.6 percent, while the Greens got 8.4 percent. The Alternative for Germany (AfD) party, which campaigned on eurosceptic fears about the cost of eurozone bailouts, came in with 4.7 percent. The Pirate Party, advocating for internet freedom and copyright law reform, ended up with 2.2 percent and the far-right nationalist NDP party received 1.3 percent. All other parties received a collective 2.7 percent of the votes. 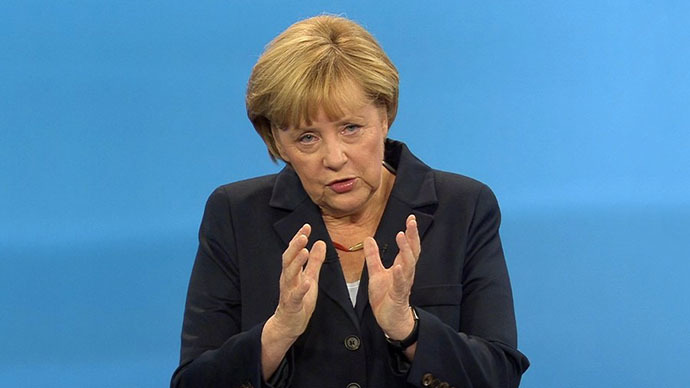 Merkel has urged her bloc to celebrate after leading the conservatives to their best result in over 20 years. "We will do everything we can in the next four years to make them successful ones for Germany," she said at the CDU headquarters, adding that it was too early to consider coalitions. "We will talk about this tomorrow when we know the final results - but we can surely celebrate tonight, as we have done a great job." 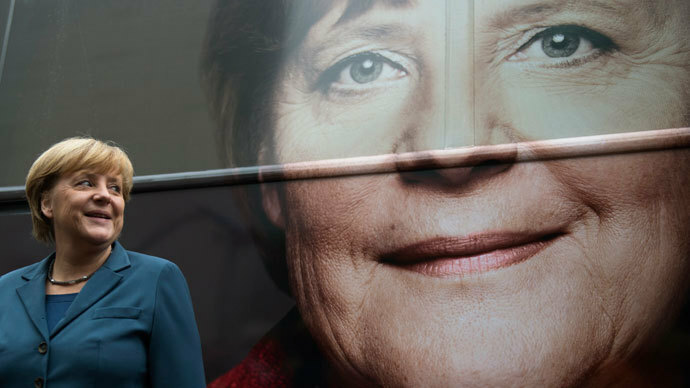 Seventy-two percent of German voters turned out to the polls. 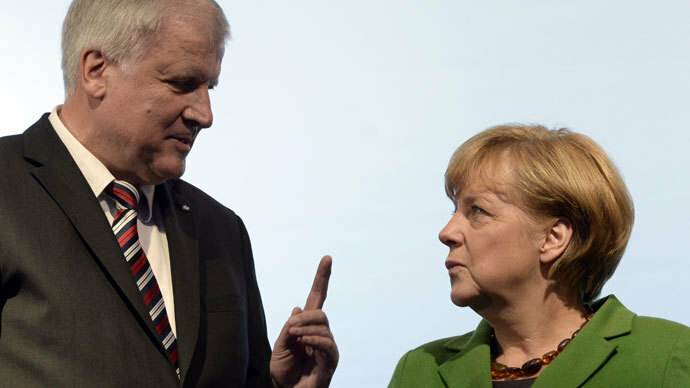 Having not won an absolute majority, Merkel’s CDU-CSU bloc may be forced into talks with Steinbrueck’s SPD – which Merkel worked alongside between 2005 and 2009. 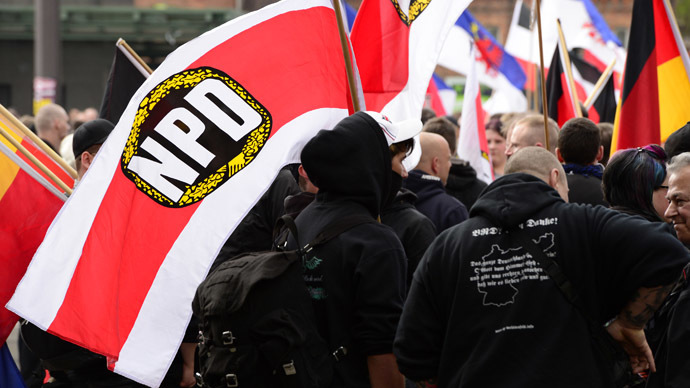 This may mean she will be forced to adopt more leftist policies such as a national minimum wage, which is being heavily campaigned for by the SPD. Although Germany has a minimum wage set for certain jobs - such as cleaners and construction workers - there is no national minimum wage. Merkel opposes Steinbrueck’s plans and prefers to allow employers and employees decide on minimum pay on a sector-by-sector, region-by-region basis. Political commentators and voters themselves - particularly the younger ones - have been highly critical of the entire election campaign, claiming it has not addressed the real issues facing Germany. In contrast to Germany’s economic powerhouse image broadcast by mainstream media, many Germans are feeling the heat of the economic crisis. Although unemployment is comparatively low, many people are scraping by on low wages. “I think if you ask someone from Spain, they would tell you that Germany is an economic land of milk and honey. This just isn’t the case,” Christian Deubner from the Foundation of European Progressive Studies told RT. There is also frustration among the electorate about a possible new bailout for Greece and the NSA spying scandal, which tarnished Merkel’s image. ‘Wealthy’ Germany brushing big issues under the carpet on eve of elections?